MANILA — The Duterte administration obtained an 83 percent approval score for its effort to fight criminality, a September 2018 Pulse Asia survey showed. In its survey conducted Sept. 1-7, Pulse Asia also said only 3 percent disapprove of the administration’s efforts to keep the streets safe and secure, while 14 percent were undecided. The survey also showed that Filipinos appreciate the administration’s initiative in protecting the welfare of overseas Filipino workers, scoring 75 percent; in responding to the needs of areas affected by calamities, 74 percent; and in fighting corruption, 71 percent. 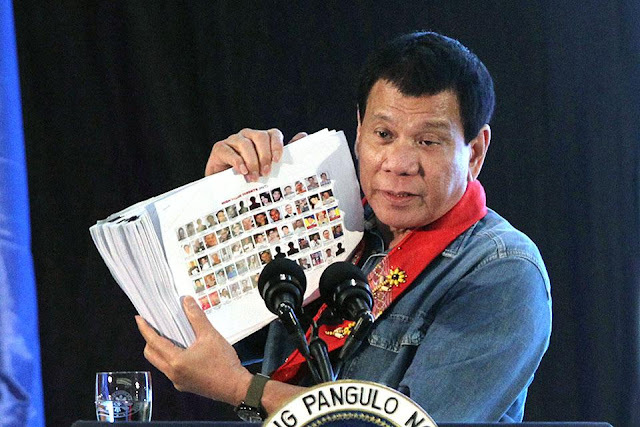 It also gave the administration approval scores for its effort to enforce the rule of law (69 percent), promote peace (69 percent), protect the environment (65 percent), defend national territorial integrity (56 percent), create more jobs (56 percent), and increase the pay of workers (53 percent). Appreciation is the plurality sentiment toward the Duterte administration’s anti-poverty initiatives (39 percent), the survey showed. “Nagagalak po ang ating Presidente na kinilala ng ating taongbayan yung mga ginagawa ng ating Presidente, lalong-lalo na po dito sa isyu ng patuloy na giyera laban sa kriminalidad (Our President is happy that the people appreciate our efforts, especially in our continuous war against criminality),” Presidential Spokesperson Harry Roque said in a Palace briefing on Thursday. On Sept. 20, the Second Quarter 2018 Social Weather Stations survey showed that property crime or crime that includes street robbery, burglary, break-in, car theft, and others fell to 5.1 percent in June 2018 compared to 6.1 percent in March 2018. “Bumababa po ang numero ng krimen at ang taongbayan mismo ang nagsasabi nito (The crime rate is lower and the people themselves are saying so),” Roque earlier said. However, the survey also showed that 63 percent of Filipinos say inflation is an issue that the Duterte administration must immediately address. Half or 50 percent of Filipinos consider the need to increase the pay of workers as an urgent national concern. “Gaya po ng sinasabi po naming, kinikilala po namin na problema ang pagtaas sa presyo pero ang aming assurance po, hindi po natutulog sa pansitan ang ating Presidente, ang gobyerno (As I have said, we acknowledge the problem concerning high prices of goods but our assurance is that the President, the government is not sleeping on the job),” Roque said. – MO No. 28 directing the NFA to immediately release existing rice stocks in its warehouses, including the 230,000 metric tons (MT) of rice currently stored in its warehouses across the country and 100,000 MT of rice previously contracted to be delivered before the end of the month. Roque, meanwhile, expressed confidence that these measures will pull down the impact of food prices on inflation.